On the day before MozCamp Asia, a group of Mozillians got together to share community building best practices and to work together on how we can make it easier for more people to get involved. We had done a similar community building meetup in Warsaw after MozCamp Europe where we came up with a draft framework for how to increase Mozilla’s community building capacity. In Singapore, we wanted to see if this framework made sense to contributors in Asia and to work out some of the details about how we would implement this framework. Community builders — Open projects don’t automatically have healthy and growing communities. People are needed to make sure projects are set up for participation and are functioning well. We talked about what role a community builder has in a project and how they can be set up for success. Contribution funnels — Mozilla is a big project and we can help people get connected to the right project by providing clear pathways for the functional areas they’re interested in and the regional areas where they live. We looked at the regional funnels that exist in Asia and how to support them. Systems and data — The size of the volunteer opportunity is huge and systems and data can help us handle the volume and scale up processes. We looked at a strawman set of requirements for what functionality would be helpful in a community building system. Education and communications — There is a lot of great expertise about community building at Mozilla that we can capture and spread to people who want to learn more. We reviewed the recent community building workshops and brainstormed about how to develop these further. 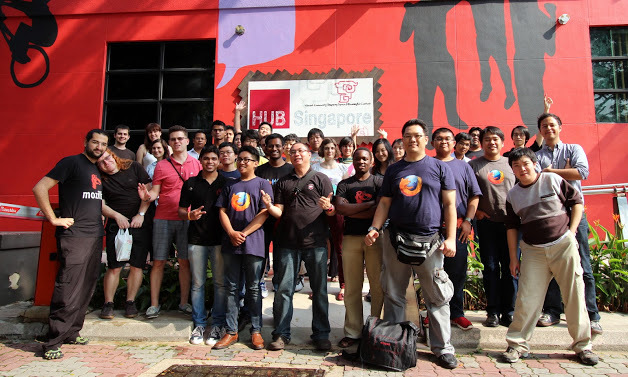 Recognition and development — Recognizing people for their contributions is key to keeping people involved in Mozilla. We created a list of different ways to recognize people and looked at how Webdev Stewards are integrating recognition into each step of the webdev contribution pathway. Organizational support — Community building should be supported and encouraged by the Mozilla Corporation and Foundation. We talked about what support would be useful and how some current governance structures might be changed to make participation more effective and constructive. Do these items seem like they would help with your community building efforts? Do you see anything missing from this list? Are you interested in community building and developing this framework with us?